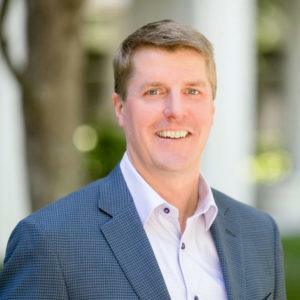 Marty McMahon co-founded FlemingMartin in 2011 and manages the firm’s San Francisco Bay Area office. Prior to establishing FlemingMartin, Marty opened and managed the San Francisco Bay Area office of a leading West Coast Retained Executive Search firm. He has extensive search experience working with middle market companies. Marty has more than 20 years of leadership and operations experience serving a number of premier organizations including the United States Navy, Accenture, and CEVA Logistics. He has distinguished himself through his ability to effectively lead client companies through periods of intense transition and uncertainty. Marty holds an MBA from the Haas School of Business at UC Berkeley and a BS with Distinction from the United States Naval Academy. Marty formerly served as a Board Member for UC Berkeley Executive Education. He is also a former UC Berkeley Foundation Trustee, Board Member for the Haas School of Business at UC Berkeley and Board Member for the Bay Area Chapter of the Council of Supply Chain Management Professionals. Marty and his family reside in Danville, CA.